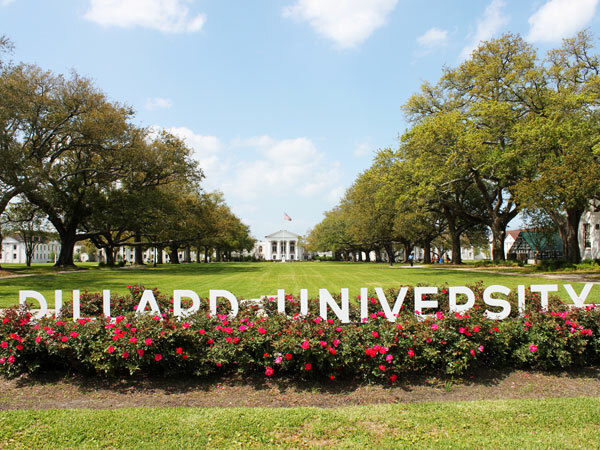 Established from the merger between Straight College and New Orleans University, Dillard University is located on a 70-acre triangular site in the Gentilly district north of downtown New Orleans. 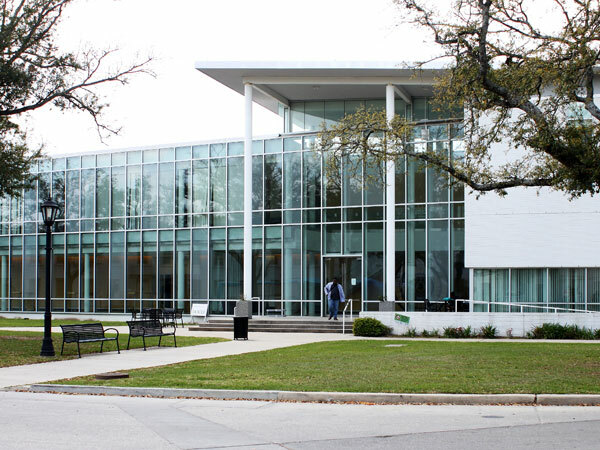 It was conceived as a liberal arts college and named after James Hardy Dillard, a white educator devoted to serving the African American community. The school opened in 1935 with the completion of four major campus buildings. The campus was laid out in the Beaux Arts tradition, with ten classical brick buildings painted white and oriented around a broad, open quadrangle. 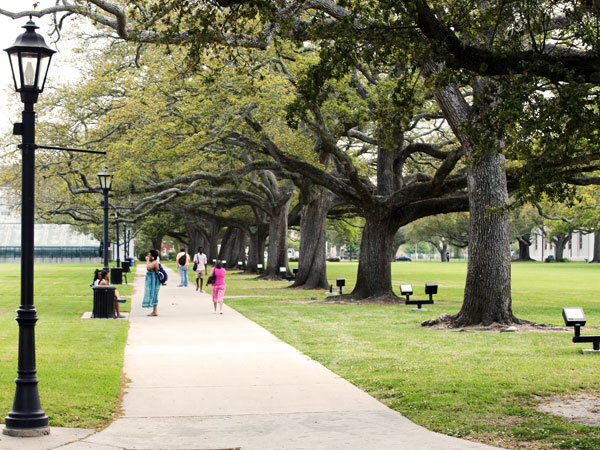 The center of the lawn quad is divided by two rows of mature live oaks, the “Avenue of the Oaks,” with concrete pathways down its length and connecting across the quad. Concrete and brick entrance portals with ornamental metal fencing date from the university’s establishment, with crepe myrtles and native palm trees planted to enhance the campus approach. A land swap in the 1980s allowed for campus expansion, while a 1996 fifty-year lease from the Parkway Commission resulted in access to contiguous open space and a pond along Gentilly Boulevard. Since its inception, campus development has remained sensitive to architect Moise Goldstein’s original symmetrical plan, in part due to his and his successor firm’s continuous involvement from 1930 to 1997. Landscape architect William Wiedorn began work on the campus in 1945, initially on women’s housing and vehicular circulation and then landscaping the expansion of core campus buildings in the 1960s. 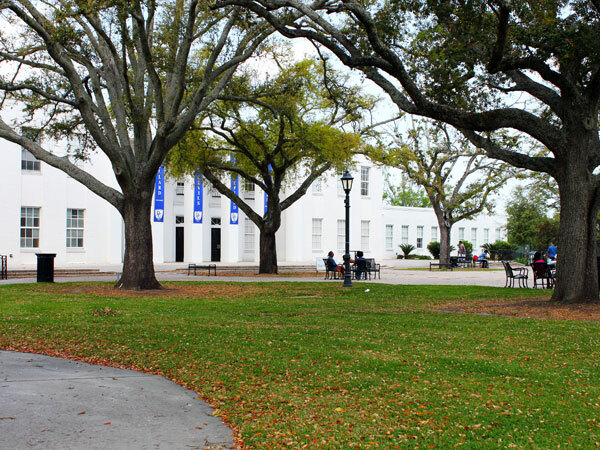 Dillard University was listed in the National Register of Historic Places in 2003.